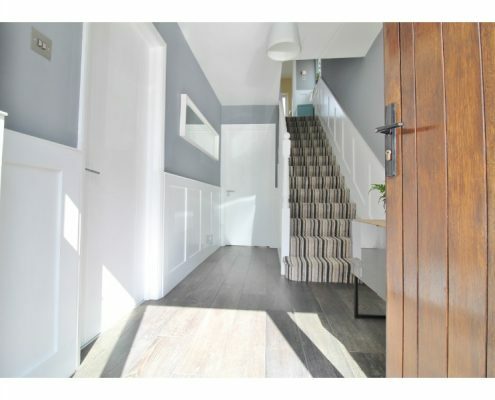 Castle Estate Agents proudly present 16 Ashfield Close to the market for sale. 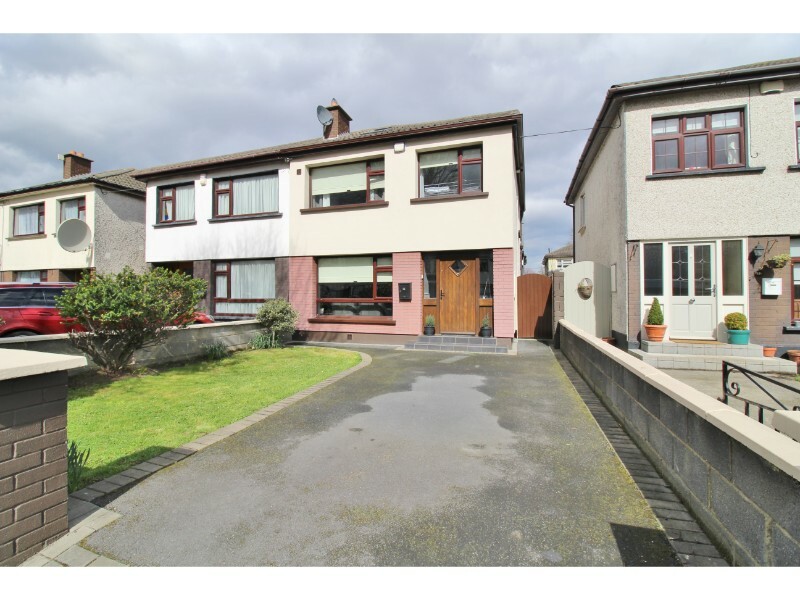 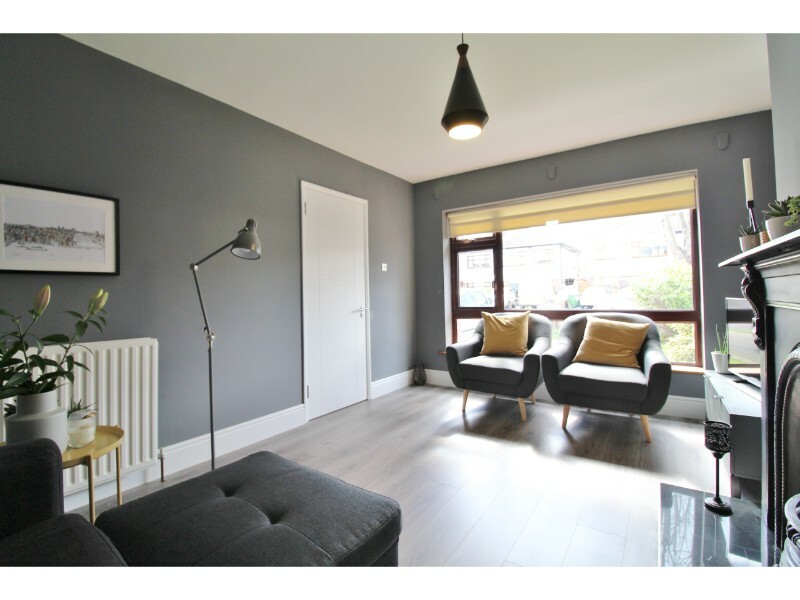 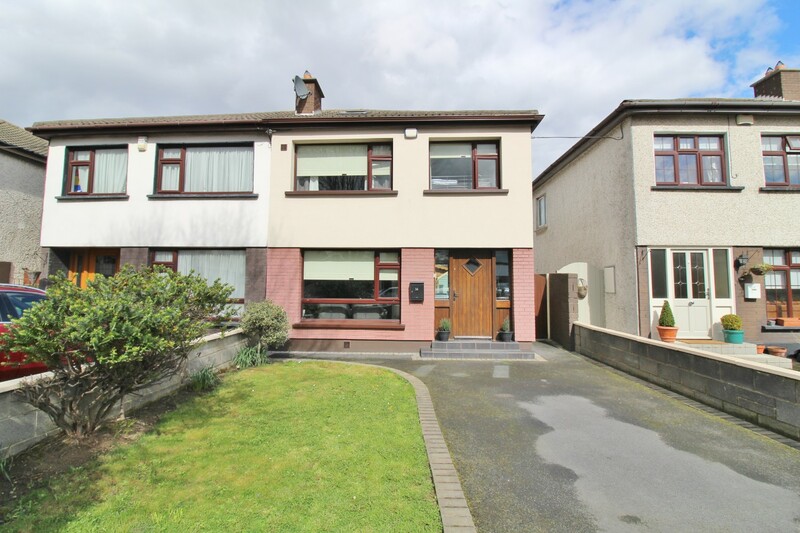 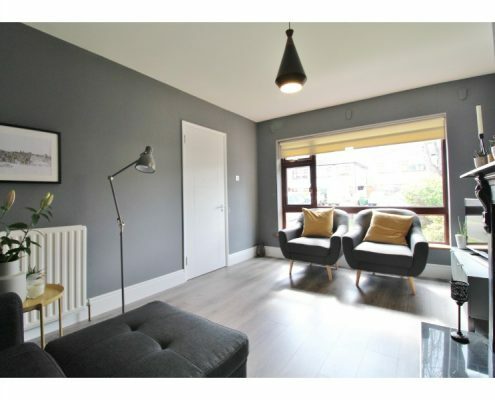 This tastefully extended and beautifully maintained and presented family home has been the subject of much improvement by the current owners and offers any discerning buyer a bright and very spacious home presented in immaculate condition throughout. 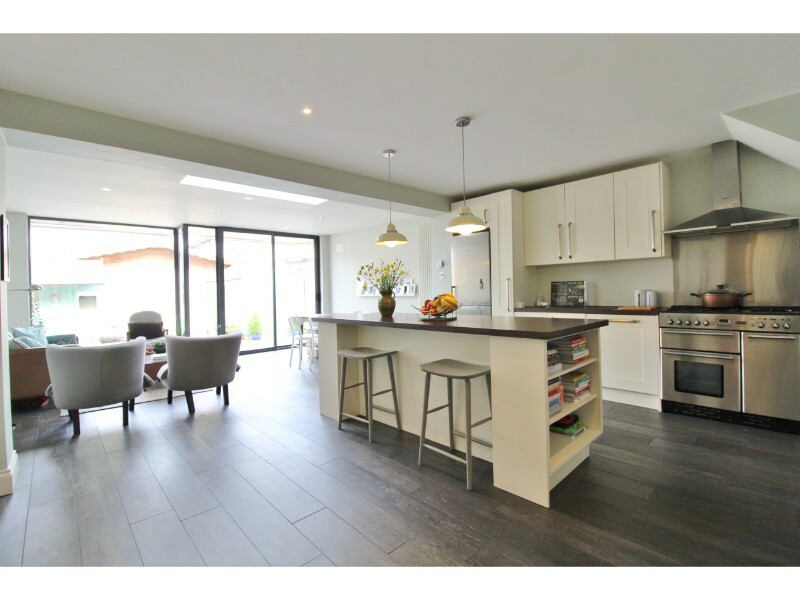 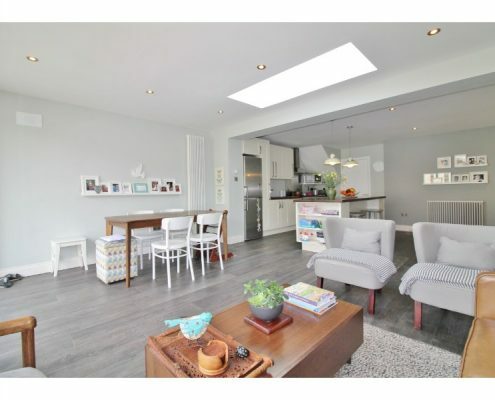 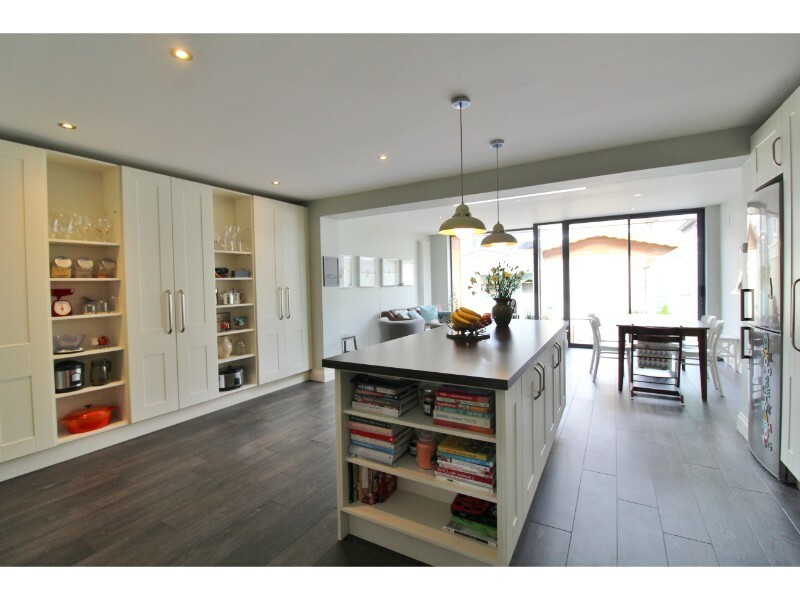 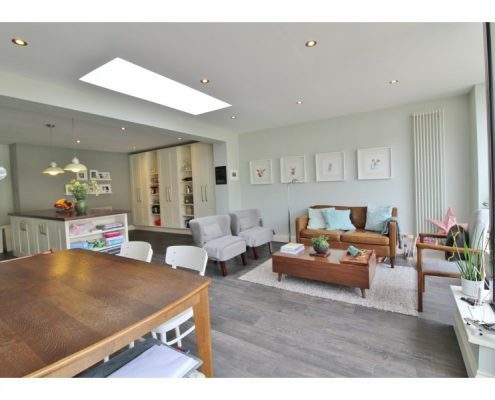 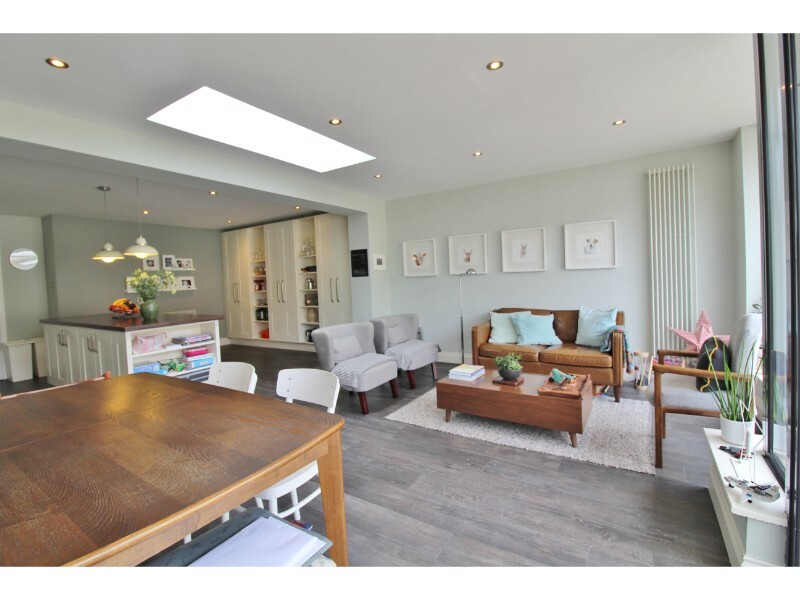 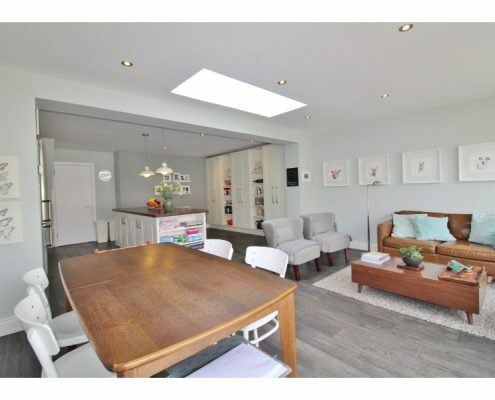 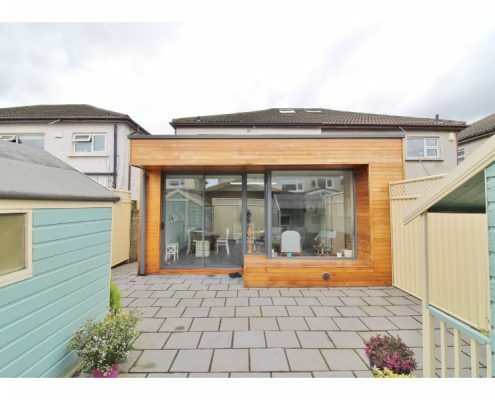 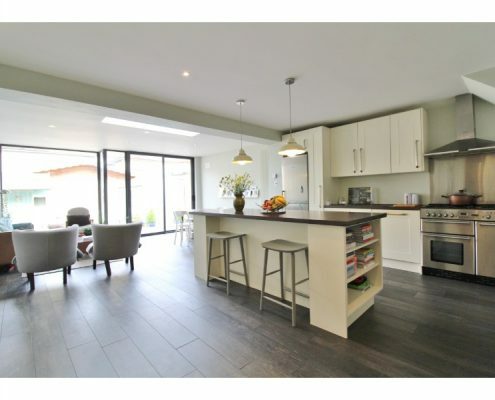 This fine property benefits hugely from an architect designed, Cedar-clad, full-width single storey extension to the rear which provides for a fabulous open-plan kitchen/diner opening onto a private, low maintenance rear garden. 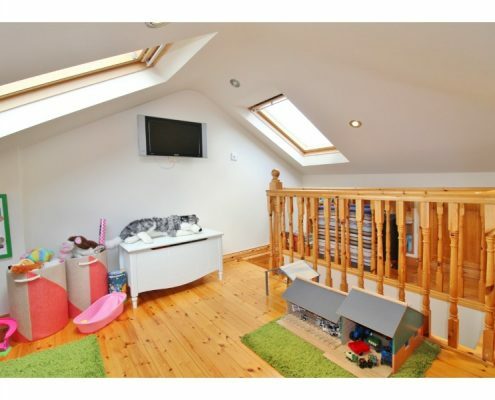 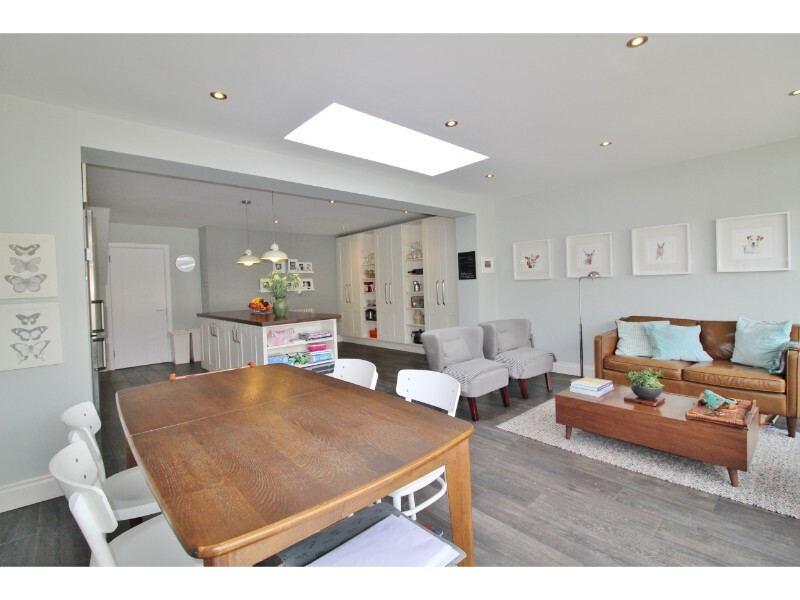 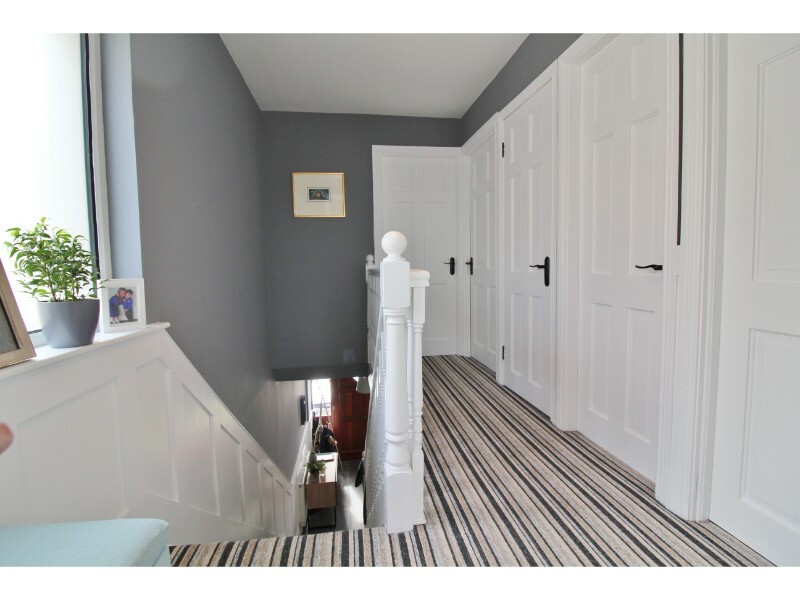 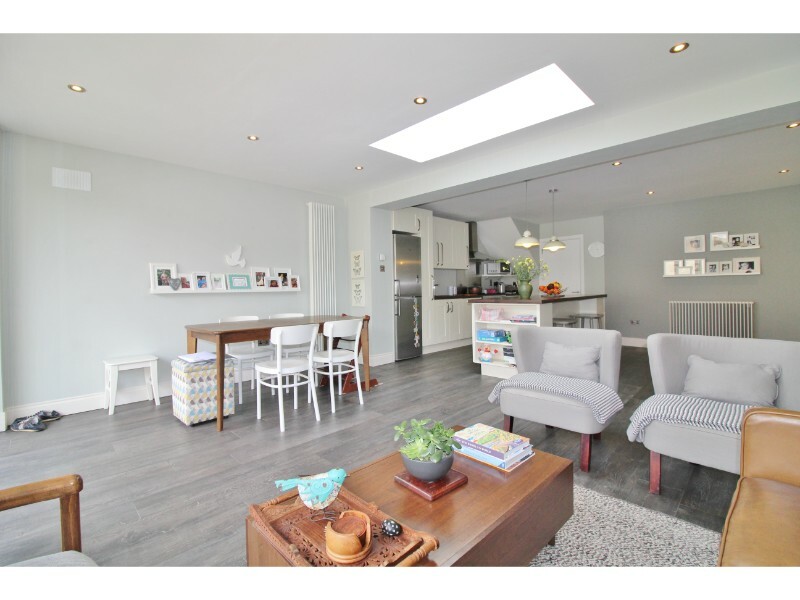 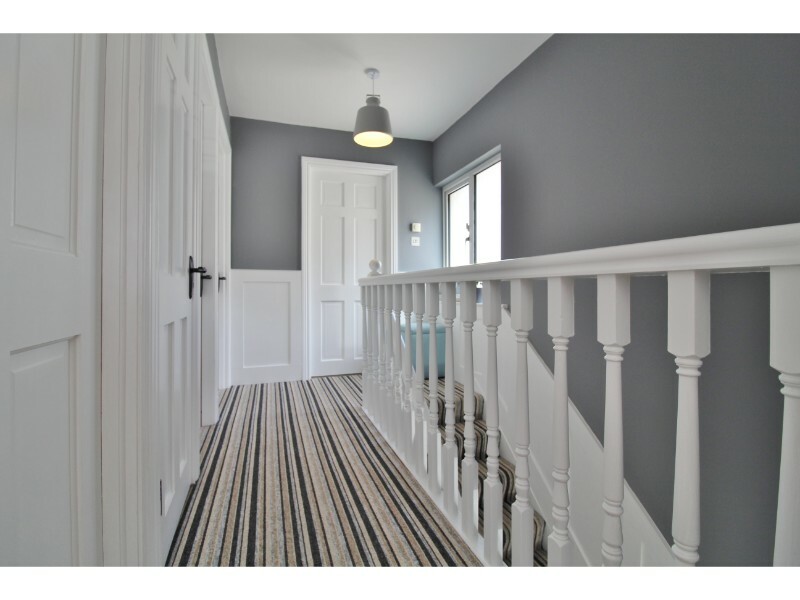 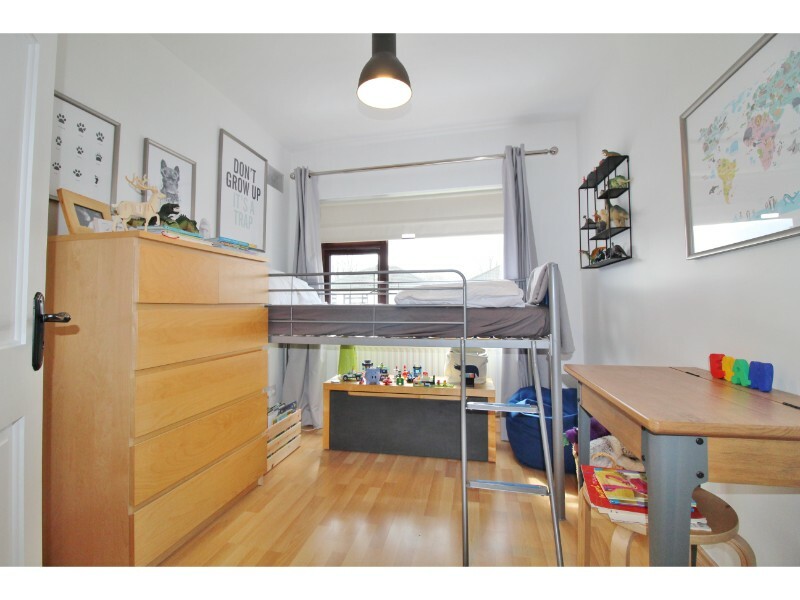 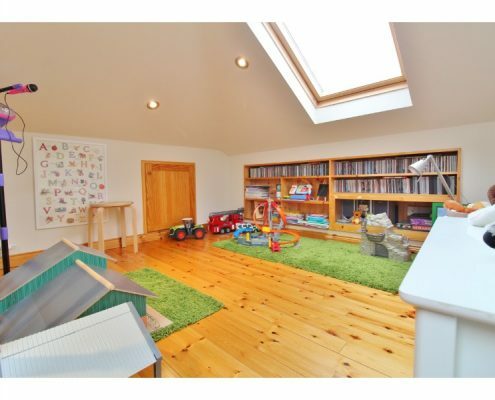 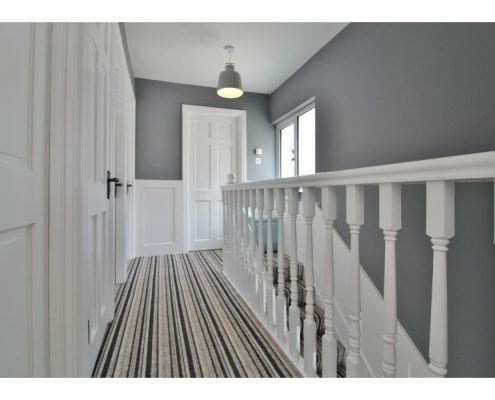 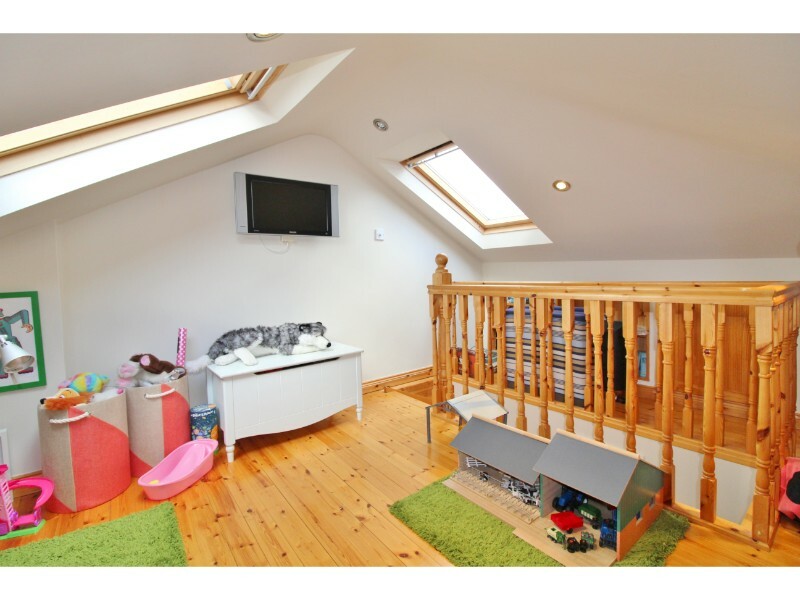 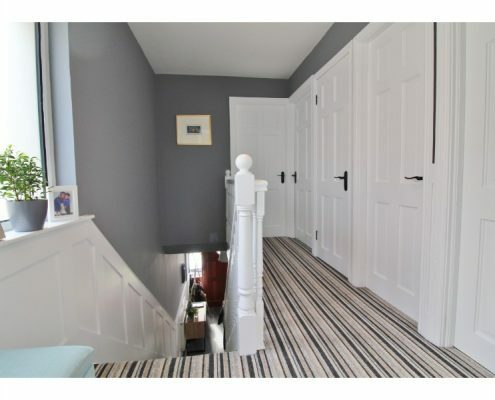 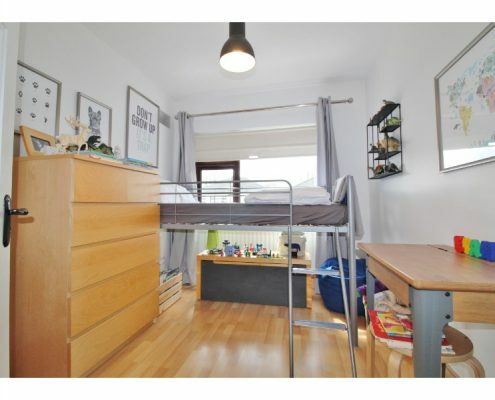 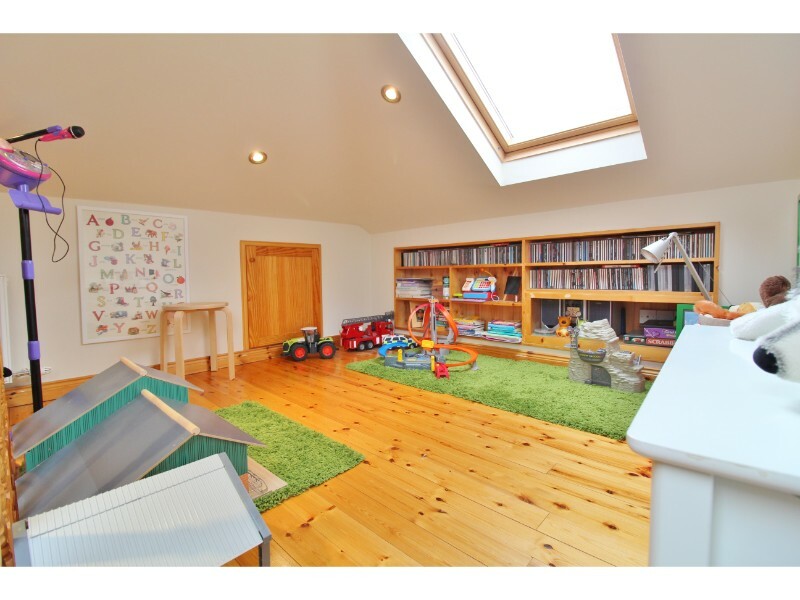 In addition a full attic conversion provides more additional living space currently an office/playroom. Downstairs is a separate formal sitting room with feature, open fireplace and upstairs are three great size bedrooms and family bathroom. 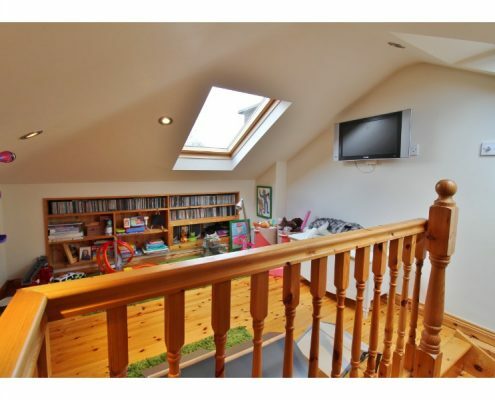 To the rear is a very private, paved rear garden and to the front a smaller lawned garden and a driveway providing off-street parking. 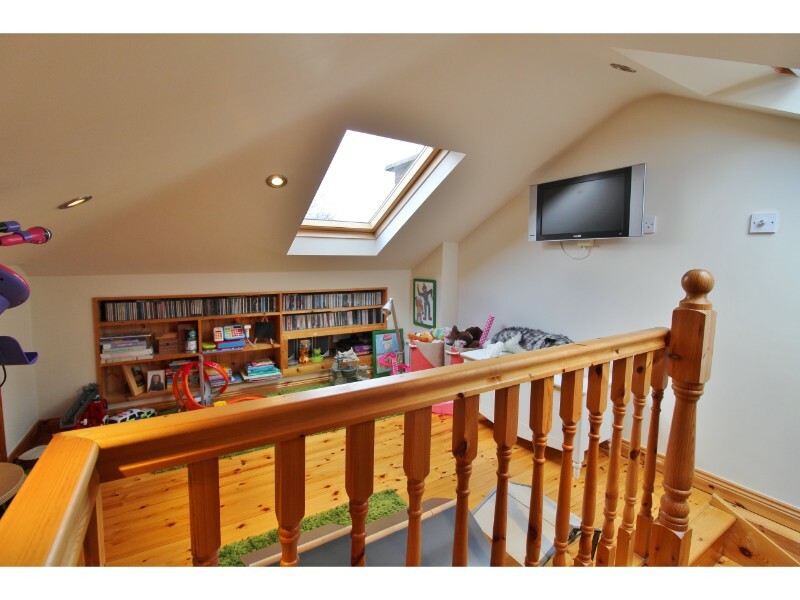 There are many additional benefits to this super home including full double glazing throughout, gas-fired heating system with zoned thermostat control, full, external insulation (fitted by Ecosnug Ltd), “Wainscoting” (wood panelling) to hall, stairs and landing, “Tegre” sliding wardrobes to master bedroom, “Colourfence” fencing and much much more. 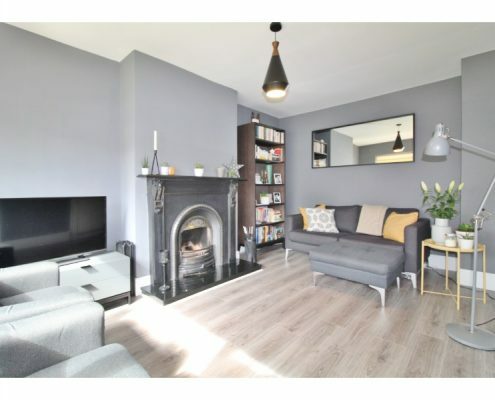 Sitting room: 4.65m x 3.25m with double glazed windows to front aspect, semi-solid wood flooring and feature, open fireplace with cast iron surround and marble hearthstone. 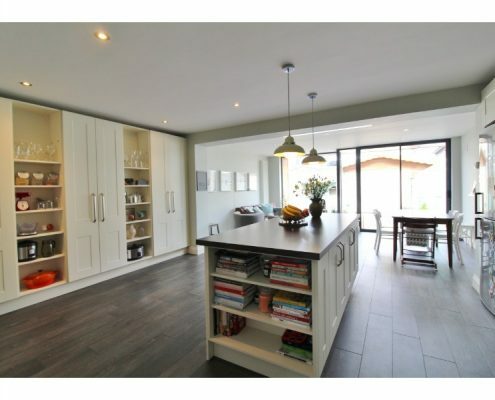 Kitchen/diner: 8.67m x 5.27m with double glazed sliding patio doors to rear aspect, double glazed full-height windows to rear aspect, wood-effect tiled flooring, a recently fitted new kitchen with a range of eye and base level units with block-effect work surfaces, space for range cooker, space for fridge freezer, large Island unit/breakfast bar and spot lighting throughout. 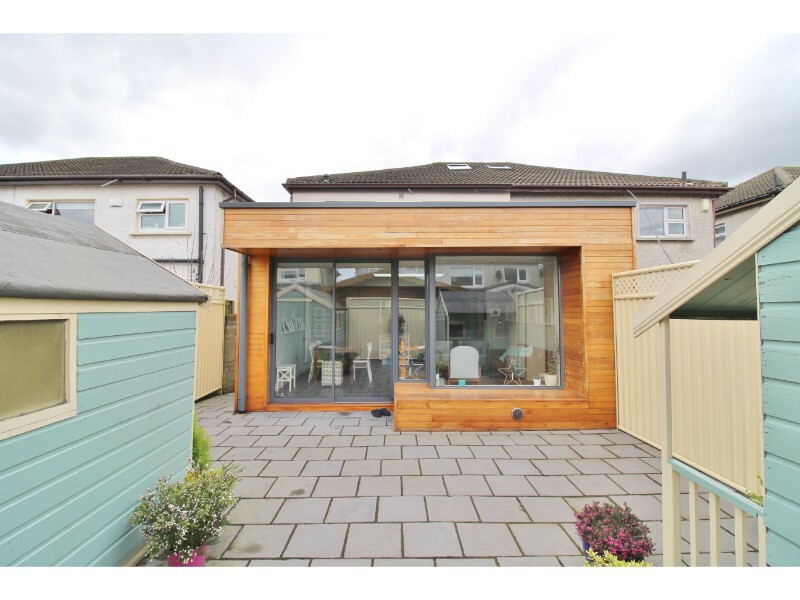 Landing: 3.30m x 1.91m Galleried landing with double glazed, obscure glass window to side aspect and hot press. 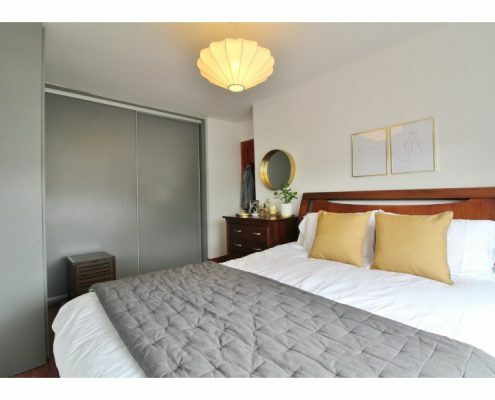 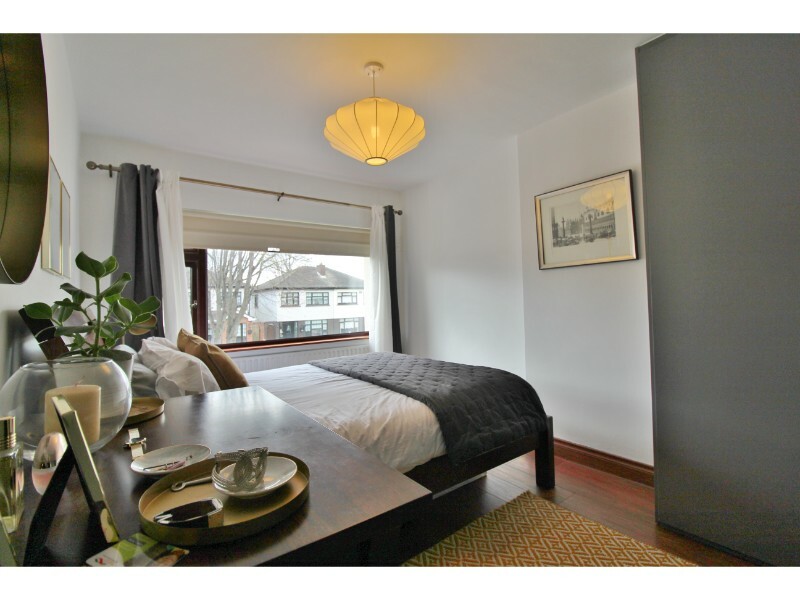 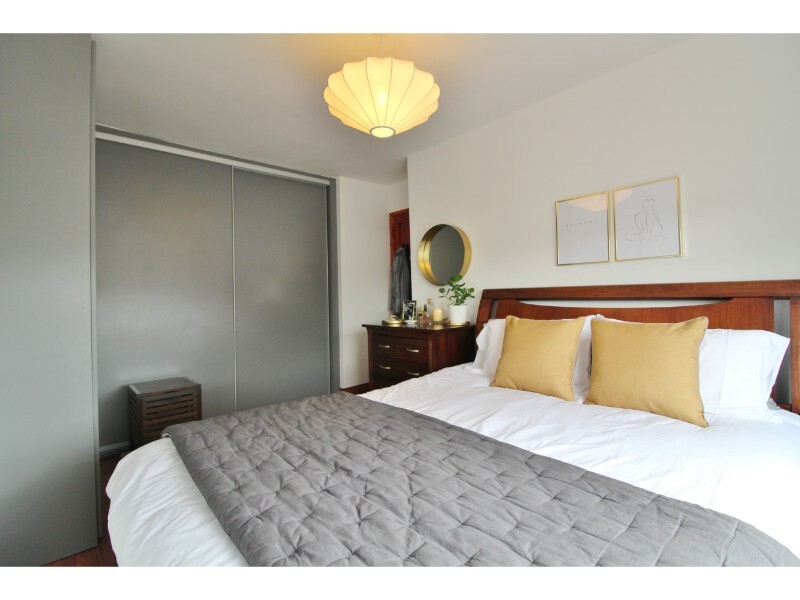 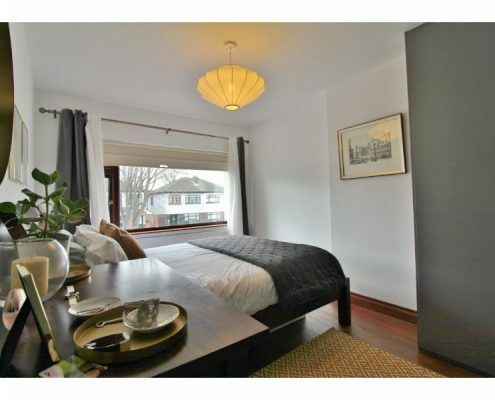 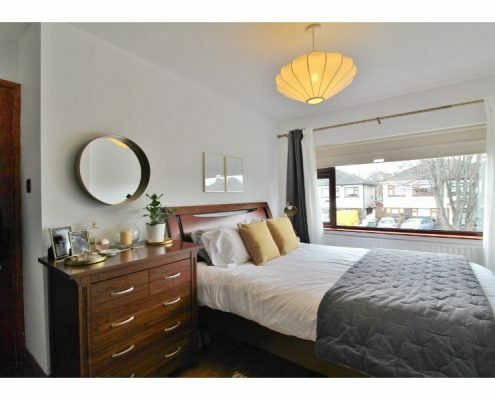 Bedroom 1: 3.90m x 2.87m with double glazed windows to front aspect and a range of “Tegre” fitted wardrobes and storage. 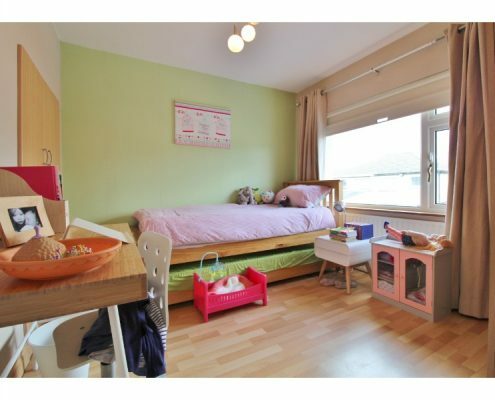 Bedroom 2: 3.32m x 2.87m with double glazed windows to rear aspect, laminate flooring and fitted wardrobes. 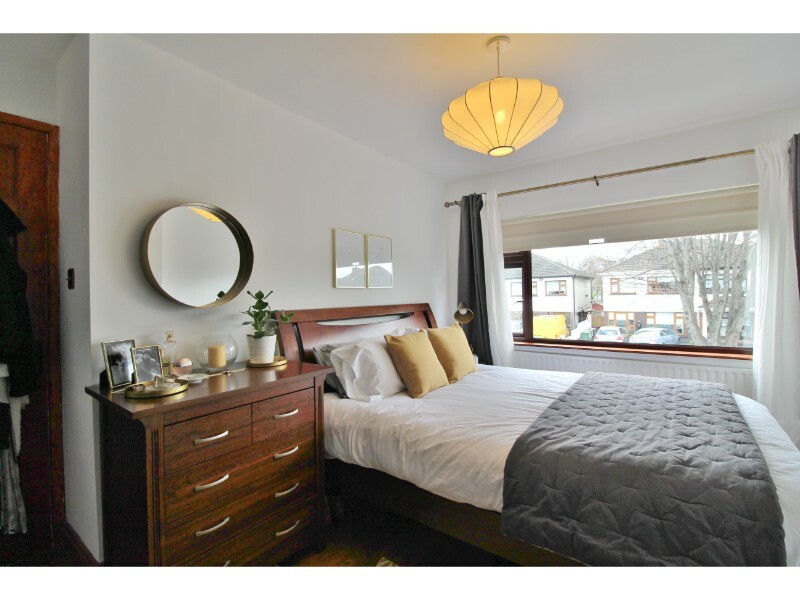 Bedroom 3: 2.89m x 2.37m with double glazed windows to front aspect, laminate flooring and fitted wardrobe. 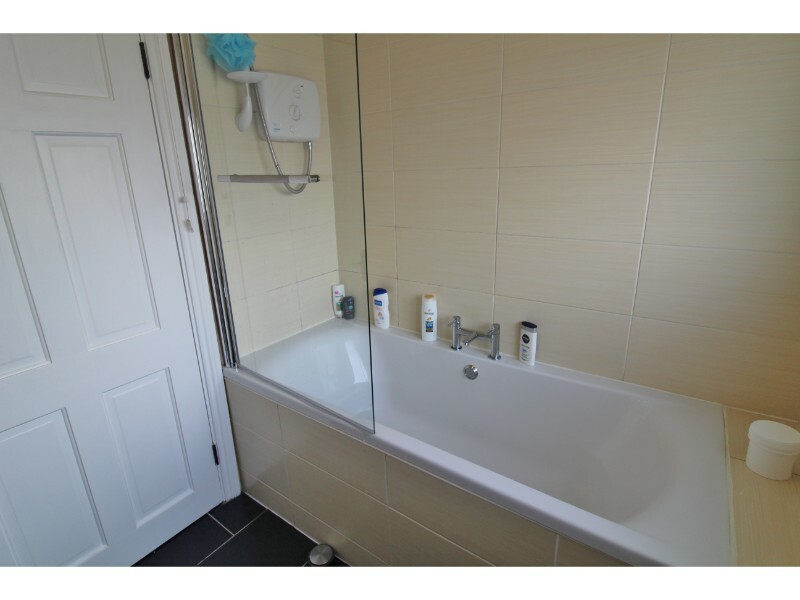 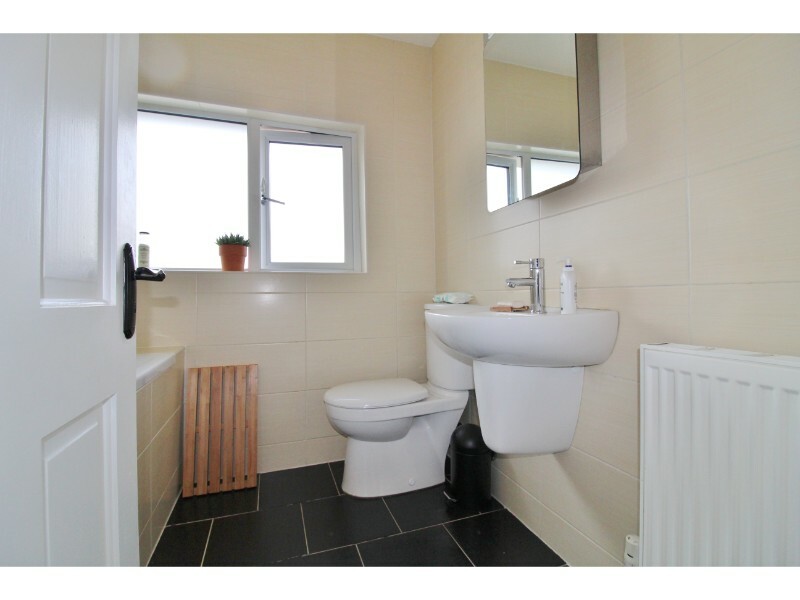 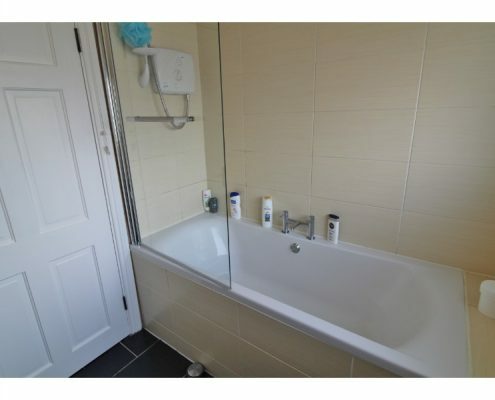 Bathroom: 2.03m x 1.90m with double glazed,obscure glass windows to rear aspect, ceramic tiled flooring, fully tiled walls, bath with Triton electric shower over and splash-screen, wash hand basin and W.C.
Attic room: 3.78m x 2.95m with double glazed “Velux” windows to both front and rear aspect, Pine staircase and flooring and ample eaves storage. 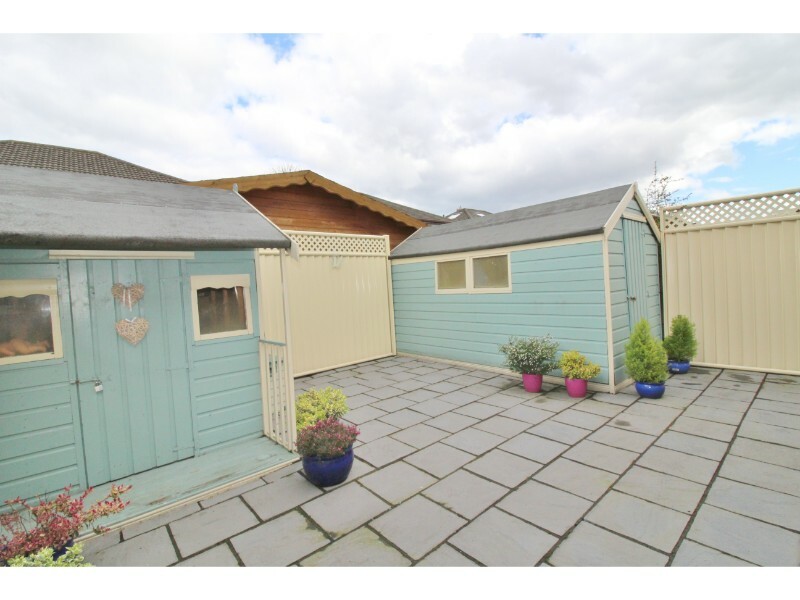 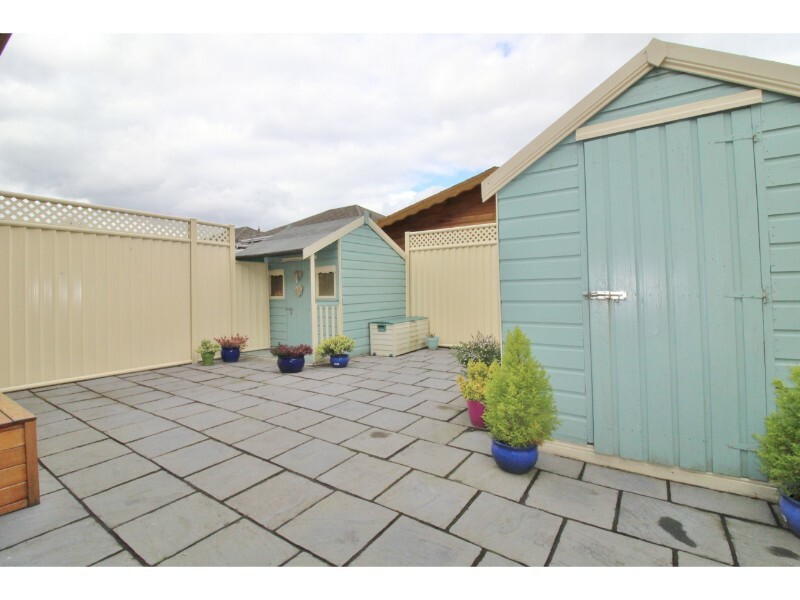 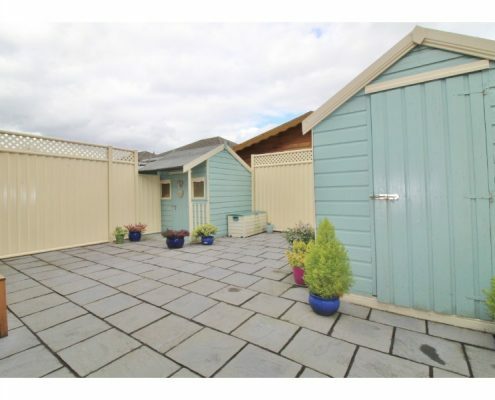 Garden: Large paved patio area with Cedar seating and courtesy lighting, large, wood-built shed with power and light (currently housing washing machine, dryer and additional freezer), wood-built childs playhouse, side access to front driveway and “Colourfence” borders. 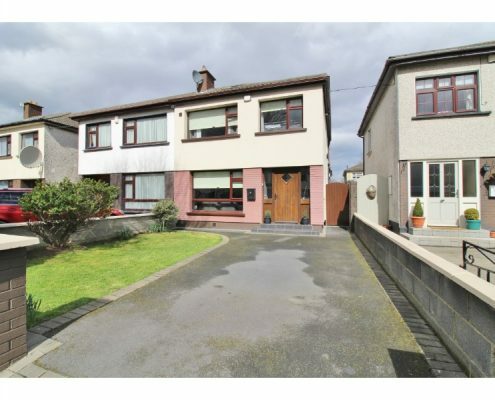 Front: Garden laid to lawn with off-street driveway parking.